An honor graduate of Brandeis University with a degree in Near Eastern and Judaic Studies, Dr. Kanner received his doctor of medicine degree from West Virginia University. He completed an internship in Internal Medicine and a residency in Physical Medicine and Rehabilitation at Sinai Hospital in Baltimore, Maryland. Dr. Kanner is Board Certified by the American Board of Physical Medicine and Rehabilitation and the American Board of Electrodiagnostic Medicine. Dr. Kanner established the first private outpatient rehabilitation medicine practice in the Northwest Baltimore area in 1981. Dr. Kanner served as Chief of Rehabilitation Medicine at Northwest Hospital Lifebridge from 1981 through 2005. He is a former adjunct assistant professor at the University of Maryland School of Medicine, with teaching appointments in the Departments of Rehabilitation Medicine and Neurology. 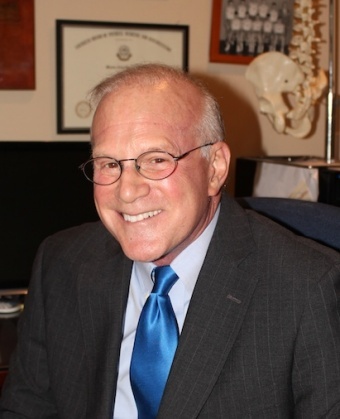 In 1984 Dr. Kanner founded the Maryland Society of Orthopedic, Rehabilitation and Occupational Medicine Specialists. Dr. Kanner has received multiple selections by his peers as a “Top Doc” by Baltimore Magazine.